Not many have heard of Hôi An before, in fact the name is owned by an old city in Vietnam which means "peaceful meeting place" and is in the list of UNESCO heritage sites. Located on the northern edge of Thu Bon River in Quàng Nam province, it was originally the port city of Lâm Âp Phô (Champa City) under the power of the Champa kingdom in the 9-10th century. When China, Japan, the Netherlands and India settled in the 15th-19th century, the city became an active trading center for Southeast Asia, East Asia and some European countries. The city is also known as Faifo by the French and Spanish as a major international port city so as to reflect a blend of customs and foreign cultures resulting in unique diversity. The hot weather in May made me choose to relax for a moment at the hotel. Late in the afternoon, we just started exploring this beautiful old town for the next three days. Walking about five minutes, already seen stalls selling souvenir shops that indicate that we've been in the old town. In the afternoon, motor vehicles are forbidden to cross the old city area. This means we have to walk while in the area. Well, it's fun because it does not have to worry about the motor that passes. All tourists are required to pay a ticket of VND 120,000 (approximately Rp70.000) to enter the old town. This ticket is valid for five tourist sites in the area. Carrying the map given by the ticket officer, we passed a road that is not too wide. Although already a tourist area, being there feels like going back to the 17th century with the architecture of the building is still original. The weather is hot and not crowded during the day, it feels different in the afternoon and evening that began filled with tourists. I also did not stop taking pictures there, ranging from the colorful architecture of hundreds of years old buildings and activities of local cpeople. The area is wide enough to be surrounded on foot in a day. At night, the old town looks lively with lanterns hanging out and lighting in shops and restaurants. I have set up a tripod while looking for the right photo location. On weekends, this area is usually enlivened with local art performances such as traditional music or musical dramas delivered in Vietnamese. This makes us more familiar with the culture of the country we visit. Small children around the river sell paper lanterns filled with candles worth VND 10,000 (about Rp5.000) which we can put on the river. I also do not want to miss and do it around the Japanese Covered Bridge (Chua Cau Nhat Ban). This iconic iconic bridge became the symbol of Hoi An city since the 17th century that was built by the Japanese people's community at that time to cross into the Chinese population across the river. In order to cross this bridge, we have to show the admission ticket that has been purchased at the main counter. This bridge connects the street of Tran Phu St. with Nguyen Thi Minh Khai road which is still part of the old city. Inside the bridge, there is a small temple called The Northern God Tran Vo Bac De which is believed to be the place of the weather god. This area is very beautiful to be photographed, unfortunately the night lighting around the bridge is quite dark. There is another bridge that is not too far away, namely the Cam Nam Bridge. This bridge also connects the old side of the city across the river and looks much prettier at night with the light from the hanging lanterns illuminating it. Fishermen's ships, which are partly transformed into floating restaurants are also no less festive with the attractions of lights. Exactly 30 minutes before 11 pm, there was an announcement from the loudspeaker that the old town would be closed and all visitors had to leave the area. My journey will be continued the next day. In order to avoid the hot weather like the day before, I decided to take a photo of the old city at six o'clock in the morning. Although there are no souvenir shops and museums open, I was able to take photos of local activities in the morning as shopping in traditional markets, ranging from vegetables, fish, and flower sellers. Fruits in traditional markets that look fresh make me want to buy it. It turns out to see old town when not too crowded, very fun. It's incomplete if you have not tried culinary, ranging from street food, small stalls or restaurants to cafes, all available in this area. One restaurant I recommend is Morning Glory. Many curious visitors finally tasted the food in this place. In addition to Vietnamese spring roll and Pho Bo which has always been a favorite food during my time in Vietnam, it turns out that Vietnam has chicken rice or Cóm Gà which tastes good too. Vietnamese chicken rice is different from Singapore Hainam rice because it is more like yellow rice served with steamed cut chicken and basil leaves on it as well as long thin cucumber slices as a complement. Everything is served with sauce that tastes sour as well as spicy sauce from the chicken broth. The price of street foods are not expensive. For desserts usually about 8,000-15,000 VND (about Rp4,000-8,000) while for a bowl of noodles or a plate of rice of 45,000-65,000 VND (about Rp25.000-45.000). After trying their culinary, it's time to visit the some of the tourist attractions there. Some hundred year old architecture became my goal. Some of them are museums, places of worship and residence that have been handed down by generations. Some are souvenir shops, restaurants and cafes, including the traditional market Hoi An Central Market. 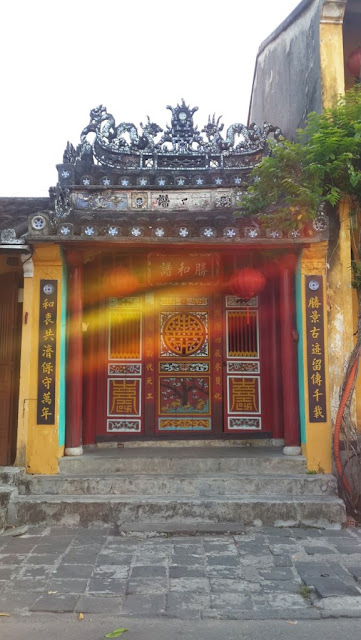 I decided to visit Tan Ky Old House and Phung Hung Old House where the guide will explain about the history of the house while being invited around. While at Duc An Old House there is no guide to explain, but I had a moment to talk to the owner of the house as he told me that he is the eighth generation that occupies the house. All the houses there have been around since the 16th or 17th centuries. Using wood as its main material. Its architecture gained much influence from three cultures, from Vietnam, Japan and China. This can be seen from the detail carvings on the roof and the pillars of the structure, furniture with an oriental touch, and each house has a terrace on the inside as a place of air exchange as well as a garden. Most homes are also dominated by black. Remarkably, everything is still in original condition despite having experienced some improvement. Afterwards, I visited the Hoi An Folklore museum featuring an overview of the daily life of local people with their habits, work, folklore, and traditional dress. Not to forget, I visited a place of worship (chapel) and an assembly hall in the old town of Hoi An, which is about 200 years old. Just like the Chinese culture that requires every family clan to have its own place of worship, this is also true in Vietnam. Shopping souvenirs also can not be missed every time you travel. Just like in Indonesia, shopping here must be smart to bargain, because usually the souvenir sellers provide a high enough price, even can be doubled! Available souvenirs are quite unique, ranging from kimono or silk dresses with oriental paintings detail, ornamental plates for walls with Vietnamese women's drawings, to ceramic handicrafts. Not only that, many shops or boutiques that sell clothes, jewelry, and unique interior accessories. Three days in Hoi An went by so fast. The beauty of every corner and a our short visit this time becomes an excuse to visit at a later time. Some of Vietnam's past beauty will always be a witness to the glory of the city that was once the center of commerce. Direct flight from Jakarta-Ho Chi Minh City is about three hours by Vietnam Airlines or Garuda Indonesia. From Ho Chi Minh City, continue the journey to Da Nang. You can use a bus or train but this will take a lot longer. The fastest way is an hour flight from Ho Chi Minh City to Da Nang. From there, continue the journey by car about 40 minutes to Hoi An. 106 Nguyen Thai Hoc, Hoi An. 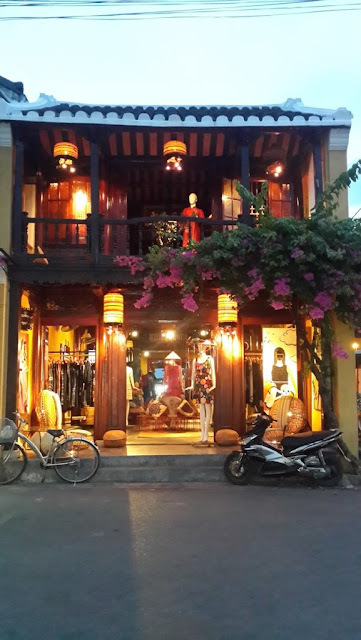 45 Nguyen Phuc Chu, Hoi An. 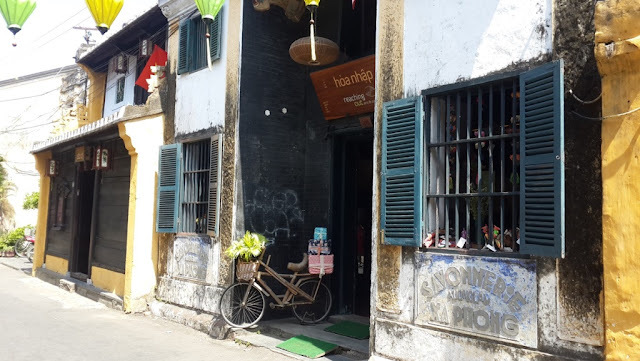 143 Tran Phu St., Hoi An. Boutique hotel yang memiliki enam kamar ini tersedia mulai dari USD 73/malam. Hotel bintang dua ini tersedia mulai dari USD 35/ malam.